Rumour No. 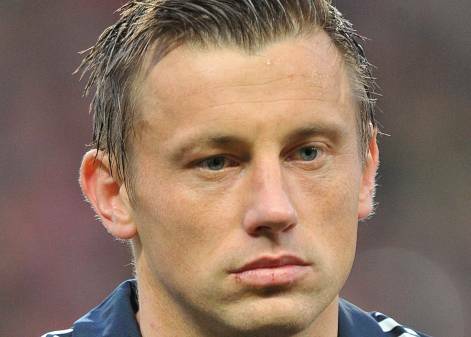 1: Manchester City are rumoured to be planning a ‘shock’ move (I’m sure it has nothing to do with a certain football match that took place earlier this week) for Bayern Munich grafter Ivica Olic. City boss Roberto Mancini was highly impressed by the striker’s selfless attitude over both legs of the Champions League quarter-final against Manchester United, and the Italian is now in the process of formalising a £6 million bid for the Croatian forward. Rumour No. 2: Tottenham Hotspur are to try and tempt Real Madrid veteran Guti Hernandez to White Hart Lane in the summer. The 33-year-old will probably be available on a free transfer come July as Los Blancos are planning on paying up his contract and releasing him. The Best of the Rest: AC Milan midfielder Mathieu Flamini has quashed speculation linking him with moves to Lyon and Man City by stating he is happy to remain at the San Siro. Aston Villa are tracking Auxerre’s Polish striker Ireneusz Jelen and Paris Saint-Germain Beninese midfielder Stephane Sessegnon. Chelsea have sent scouts to watch Bursaspor’s Turkish left-sided winger Ozan Ipek. Fulham are weighing up a move for Livorno striker Francesco Tavano. Staying with Fulham, The Cottagers are also planning a move for Sporting Lisbon midfielder Bruno Pereirinha, but may face competition from Blackburn and Bolton. Middlesbrough are desperate not to activate a clause in Gary O’Neil‘s contract that would entitle his former employers Portsmouth to £1 million, should the midfielder play one more game for the club. As a result ‘Boro are to auction him off in the summer to the highest bidder. Outcast striker James Beattie has now slipped behind teenage rookie Louis Moult in the pecking order at Stoke. Wigan Athletic are planning a summer move for Espanyol’s 21-year-old midfielder Raul Baena. Former Liverpool legend Robbie Fowler will join Sydney FC next season following the financial collapse of his current club North Queensland Fury.